The mentor training makes it easy for you as a mentor couple to connect and work with premarital and married couples. Participate in The RINGS Experience marriage education class. Contact MRCMV to inquire about becoming a mentor couple at 937.324.3604. 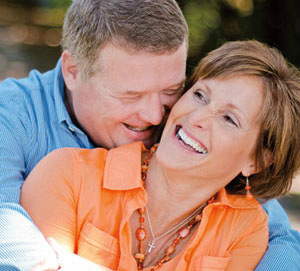 All Mentor Couples are trained on the PREPARE/ENRICH inventory so that they can effectively use it with other couples. Premarital Mentors receive training on use of the PREPARE/ENRICH mentor program. Renewal Mentors receive training on use of the RINGS Mentor companion guide. A typical mentoring assignment will take 6-10 sessions of 1½ - 2 hours each session and will be completed over a 3-month period.